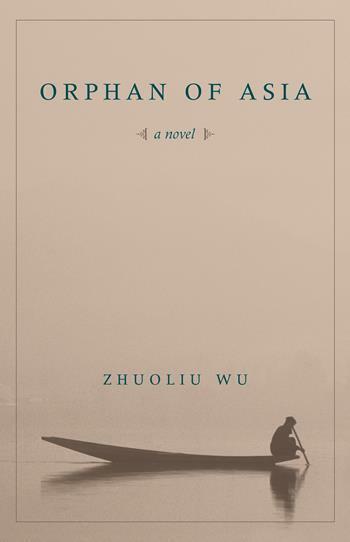 Orphan of Asia is a book which written by Taiwanese author Wu Zhuolia(1990-1976), published in 1962. The book presents a depiction of the social impact of colonialism, which had become a classic of modern Asian literature in the 80’s. The story based on the colonial period of Taiwanese history from 1895 -1945. When Taiwan had become the colony of Japan, most Taiwanese was forced to change their lifestyle into Japanese format. In the story, the main character, Hu Tai Ming, who grows up in Taiwan during Japanese colonial period. He had taken Chinese education from his grandfather in his childhood. After Japan occupied Taiwan, Tai Ming and his family had been forced to change their life format and a half of property was confiscated. Tai Ming required into the Japanese educational system. He had high achievement in scientific and mathematical studies, which got promoted by Japanese. During the school, psychologically, Tai Ming has recognition with Japanese culture in some respect, and fall in love with a Japanese teacher. Although Tai Ming’s living habit influenced by Japanese culture, his cognitive is still Chinese and hates the repression of colonialism that Japanese control everything in their life. Meanwhile, Tai Ming went to Mainland China to look for his relatives. However, his Chinese relatives treated him as an outsider, and Tai Ming suspected of being a Japanese spy. Both different emotions appear in his mind and make him feel lost and powerless. In my perspective, I was surprised by the story, which gives me another point of view about the colonial period. Because I always heard the impression of the history from my Taiwanese friends, they descript about Japanese was kind, friendly and wise that established various system and buildings for us during the colonial period and we worship with Japanese culture. However, after I read Orphan of Asia, I found that Taiwanese was very repressed during the colonial period, which was not what my friend said. Wu Zhuolia (1993) Orphan of Asia. New York: Columbia University Press.